TechwaY has developed unique skills in using FPGA technology to solve signal and image processing applications. Our solutions address projects with high density, high bandwidth data streams and projects with dense computing requirements. To ease FPGA deployment and integration into modern real time systems, we offer standardized and versatile FPGA platforms together with software tools and customization services. Our products are the outcome of our engineering activities with defence contractors, together with Research & Development efforts. Techway started manufacturing its own products in 2008, offering a line of advanced FPGA-based digital processing products. Our products are modular and versatile. They are based on standard like PCIe, VITA 57, and are designed to fit into a wide range of industrial environments. 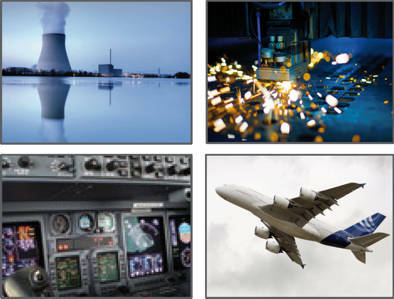 Our goal is to provide industry sectors like imaging medical, telecommunication, video processing with advanced computing solutions, originally use into defence and avionics equipments. TechwaY offers engineering and customization services for signal and image processing applications using FPGA solutions. These services are executed by engineering staff with twin skill sets: signal and image processing on one hand, and expertise in digital electronics and HDL programming on the other hand. These services are available for projects which implement products and solutions marketed by TechwaY.